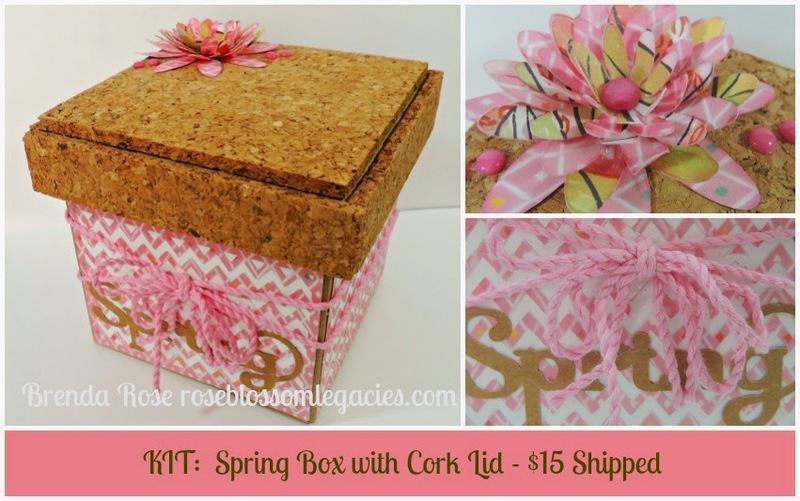 I have been enjoying making kits for you, and I especially liked designing this box with a cork lid. I have one on my desk, and I love it because I can use push pins in the lid to hold notes. I've designed this to highlight spring! Cricut-cut flowers and Spring sentiment. Oh my goodness, Brenda! This is just gorgeous!! Sooo pretty!! Love, love, love it!